We understand that leasing out your property takes a major commitment, whether it is held as an investment or is a residence. Because we want you to get it right, your Origins associate will guide you through the entire process and help you maximize the return on your property by finding a qualified and reliable tenant. 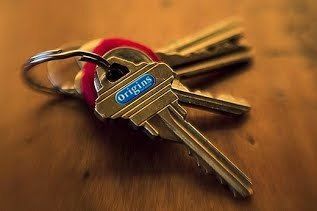 Origins Real Estate creates complete, easy-to-use, business solutions for Landlords. Whether you have 4 properties or 400, our system facilitates a seamless virtual flow of funds and information by cultivating virtual interaction for tenants, landlords and maintenance vendors. Stay acquainted with your property journals and work orders, by taking advantage of our cloud-based software backbone. Because our solution is available in the cloud, you can access it from anywhere at any time, and from any device. With Origins Real Estate, you can count on longer term tenants and preventative maintenance both of which will lower your long-term costs. Also, by automating daily processes such as marketing vacancies, leasing, maintenance and reporting, you have the added advantage of gaining back a significant amount of time in your day and cutting down on the need to oversee the process. Property Management is not for the faint of heart, and can be quite daunting for the average person. We, at Origins however believe in simple pricing models. Our pricing model is easy to understand, is posted to our website (here) and is predictable each month, so no more unpleasant surprises for you. The modern renter is changing; and the property manager must do so too to keep up. By combining our cloud-based software with modern tools like online portals and text message communications, we can reach and retain the modern renters like no other company. Since our inception in 2006, we have witnessed and managed the highs and lows of investment management. We remain grateful to all the investors that believed in us from the very beginning and that continue to do so today. Origins remains a value driven company, and is built for the long term to serve and deliver exceptional services to customers for decades yet to come. Your private information is very important to us, and we do our utmost to secure its privacy. Our operational software is stored by our partner in a state-of-the-art data center, and is manned 24×7. All sensitive data is encrypted and our bank-grade security infrastructure ensures the highest levels of service availability. We’ve been in the business for a very long time, and our seasoned team of professionals know just how to manage your investment. Our Operations Manager, Debbie McCanless, and our President, Jim Cameron, were responsible for creating Origins Real Estate’s property management group and hold dear the accomplishments they have gained. We also have more than ten years of Real Estate experience across our associate base; and this is unheard of in today’s transient industry. Origins Real Estate’s business success is based on client retention. We understand that we are only successful if our clients are happy, and we hear time and time again how much our clients love Origins Real Estate. From application to lease-signing, Origins will be there at every stage to ensure a seamless process. If a board package is required, we will review it and submit it in accordance with your building’s policy. It’s a relationship built on trust.